RevenueCat makes implementing in-app subscriptions fast and easy. It wraps the SDKs, provides the backend, verifies the purchases and keeps them up-to-date so you can get back to building your app. BTMetrics automagically calculates your most important SaaS metrics, so you can throw away the spreadsheets and get back to growing your business. Why do developers choose RevenueCat? Why do you like RevenueCat? Why do developers choose Braintree Metrics? Why do you like Braintree Metrics? What are the cons of using RevenueCat? What are the cons of using Braintree Metrics? 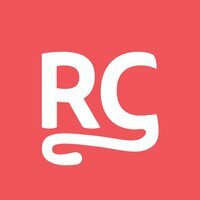 How much does RevenueCat cost? How much does Braintree Metrics cost? What companies use Braintree Metrics? What tools integrate with Braintree Metrics? What are some alternatives to RevenueCat and Braintree Metrics? ChartMogul - With a single click we calculate all your key subscription metrics, right from your Stripe, Braintree, Chargify or Recurly account.